ACC-CHiQ Series are versatile. They deliver the high-accuracy required progressive dies yet provide the high-efficiency required by the die base processing industry. Heavy-Duty design and construction, yet an extremely small footprint. Easy-to-use Okamoto iQ Touch Screen Control. 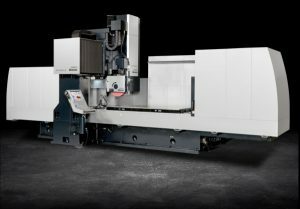 30hp spindle motor delivers almost 3 times the power as conventional column type machines. Vee and Flat table ways assure true tracking and greater table load support. Shift-Plunge Cycle optimizes reduces processing times.